Demanding customers are never satisfied with anything and always want more. No matter how annoying they are, you have no choice but to talk to them politely and keep a constant smile on the face. If you think deeply, these demanding customers increase your expertise in the business because they are just like risks, which can be averted if analysed properly. Customers tend to act demanding when they are making a big purchase, which is usually greater than their previous ones. Since they are putting in more money, they have huge expectations from you as an online retailer, which includes timely delivery and shipping costs. Delivery has an emotional aspect to it because when the product reaches the customer, it is the first time they’ll be coming in contact with it. If the delivery isn’t on time or the shipping costs are too high, the experience won’t be as joyful. As a new Amazon seller, you might find it a tad bit difficult to offer the customer service level your buyers would expect from you. To be a popular Amazon seller though, you need to know how to manage different customer expectations, to ensure that you are able to get the high reviews you need. Wondering how you can do that? Offer your customers next-day, evening, and weekend deliveries to make them feel important. You can fix a certain threshold, above which all deliveries are free because the customer would rather prefer spending a few extra bucks and get something in return rather than just paying the fees for nothing. Amazon is planning to start airborne delivery drones, so take advantage of that as well. Same day deliveries are a thing too, so if your customer is in a metropolitan area you can provide that service as well, but you will need to have a fulfilment center in big metropolitan areas like Madrid or Barcelona in Spain. Same day delivery was a service that Zara start to offer in 2017 in Madrid, and Amazon started this year in Madrid and Barcelona for prime members for free. There is new companies like Glovo or Deliveroo that can help us to delivery our orders before one hour in urban areas. 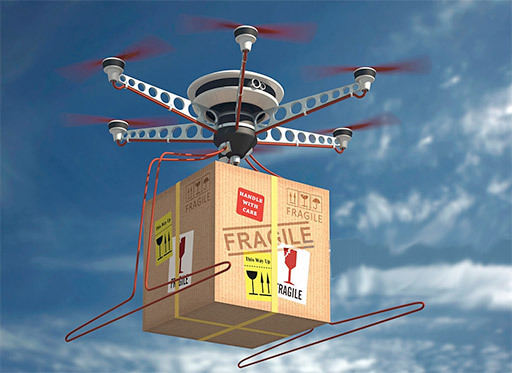 Always keep an eye for newer delivery services that provide faster delivery, so that the products reach your customers sooner. In Spain, most deliveries are made by Correos (including Correosexpress). Correos didn’t adjust according to demands of the Spanish population because of which its volume of business has decreased on the years. In the United Kingdom, most deliveries are made by Royal Mail and Parcelforce but there are many other good ones that have emerged lately. It will take some time to come up with a shipping and delivery model that works for you business. Once you do, stick to it and evaluate the model regularly to make sure you are at par with the standards you’ve set for your business. Update the model as your company grows because better services mean more number of happy customers who’ll come back for more. At the same time, don’t forget to experiment with newer services because the world is always evolving, so why not go along with it? Shipping suppliers come up with new offers now and then, so keep an eye on them too. In return, you get two amazing rewards – better customer satisfaction and higher marketplace rankings. Also, have a plan for premium customers who are ready to pay a fee for quick delivery. Entering the international market has become easier than ever. All you have to do is simply hire a third-party fulfilment company that’ll store your products in their warehouse. When there’s an order placed, the company will make the delivery on your behalf. While you are saving a lot of money by entering a deal with the company, you also get tips on how to manage delivery and shipments that will help you in the long run. Customers are going to be genuinely angry when the delivery is delayed, and you’ve got no choice but to handles the tantrums. So that you are prepared to handle the customers when they call or mail you, always keep an updated list of deliveries that are late. It is your responsibility to give them a quick reply and write or speak the reason in such a way that the customer isn’t angry anymore. It’s a good idea to focus on new metrics like Same Day Delivery and out-of-hours delivery when you can, to better the customer experience. Shipping and delivery is labour-intensive and time-consuming but also the very last part of the purchasing process. As a result, this makes it absolutely important to have a strategic plan for carrying out the delivery, so that is efficient and effective. This entry was posted in Amazon, Fulfillment Spain and tagged spain delivery.